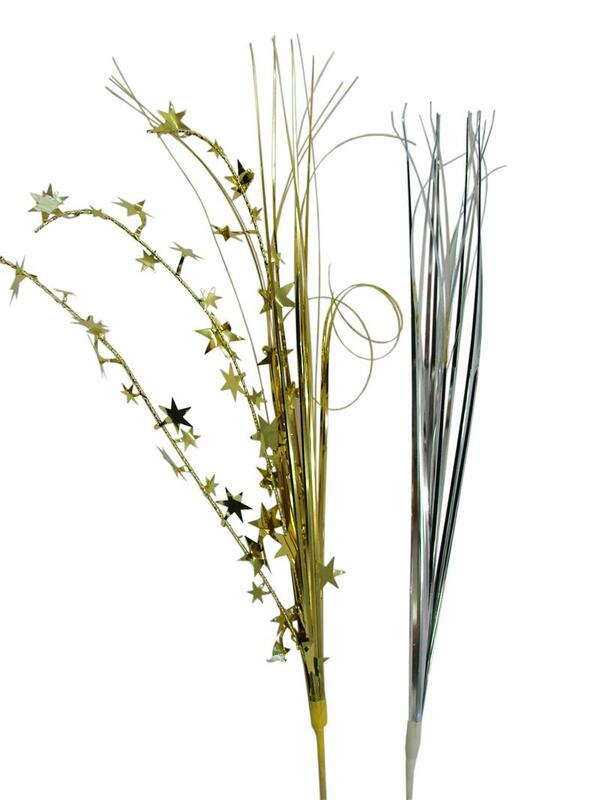 A pack of metallic foil with star or without stars sprays. 20" tall. 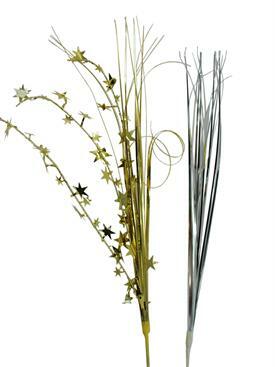 Cut out foil stars and metallic onion grass are combined in one sparkly spray. Wired spray can be shaped and curled.